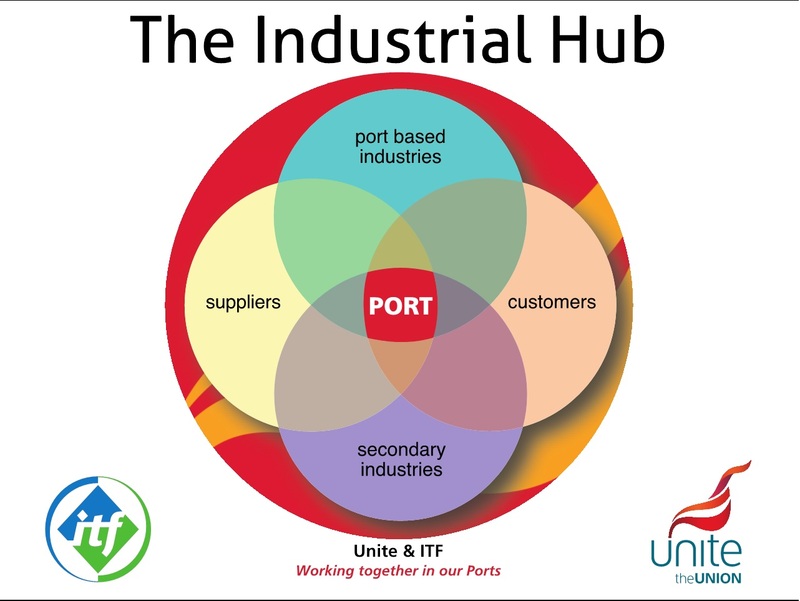 Day two turned to the global potential of the industrial hubs programme, looking at how it can be extended outside the UK into other countries and ITF regions. 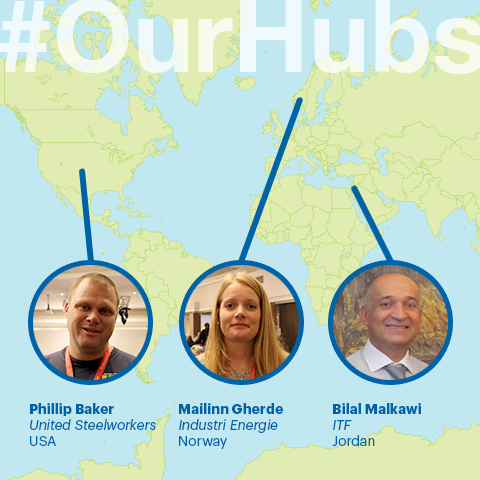 As well as members of Unite the Union, representatives from the Services Industrial Professional and Technical Union in Ireland, the United Steelworkers in America and IndustriEnergi in Norway and the Arab World are also at the training workshops in Scotland to learn from and contribute to the hubs programme in Grangemouth. 80 participants, 5 countries, 6 industries, 3 days. 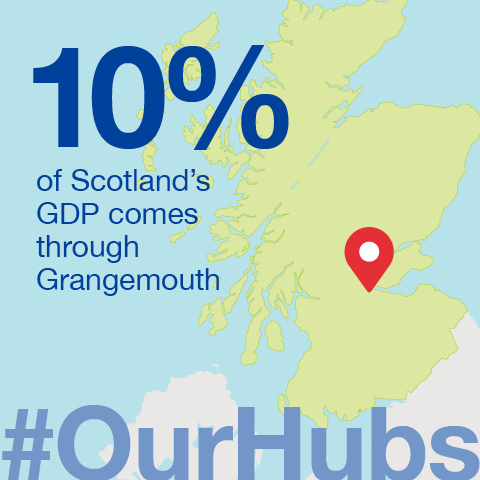 Take a look at this report on the industrial hubs training workshops in Grangemouth, Scotland. 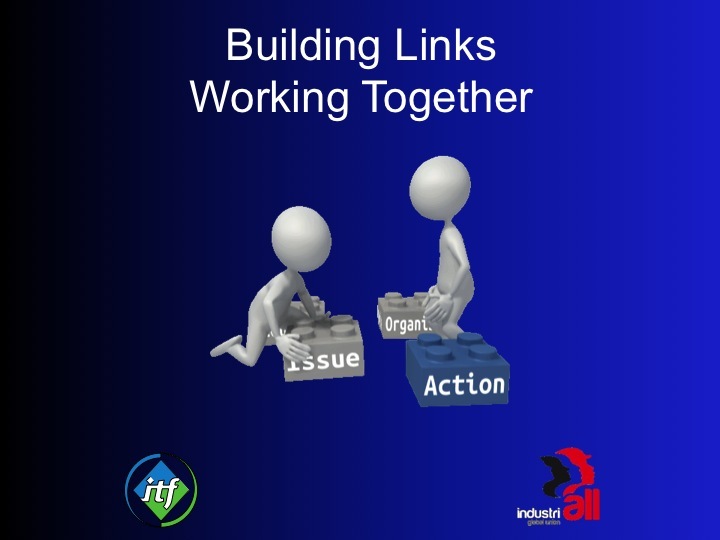 Discussions around using traditional union means of organising and campaigning as part of the hubs programme led to the start of action plans today. Lots of them included communicating with workers about what the hubs programme means practically for them. 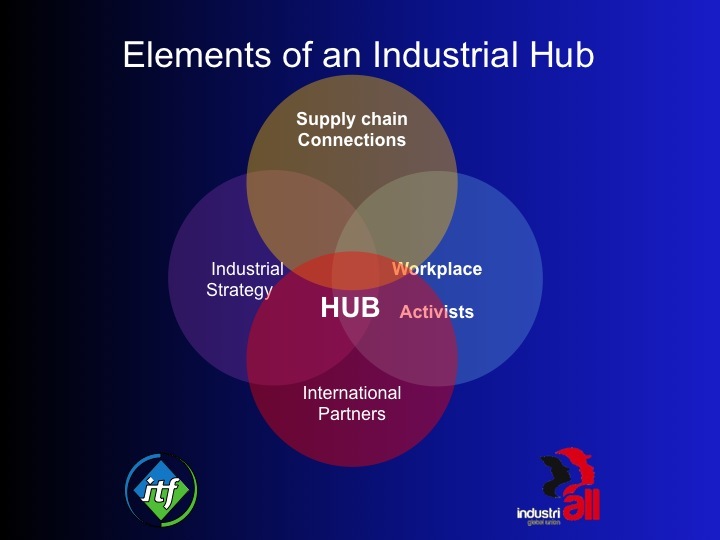 Use the introduction to the industrial hubs presentation to start explaining the programme to your colleagues and members in your workplace. 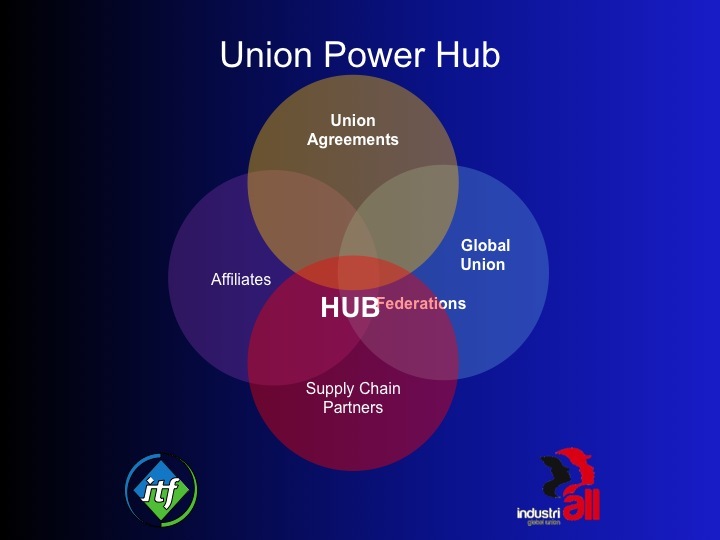 We’re working towards the lightbulb moment where workers recognise their crucial place in the supply chain and how unions can build power around the ports or other industrial hubs that their work feeds in to. 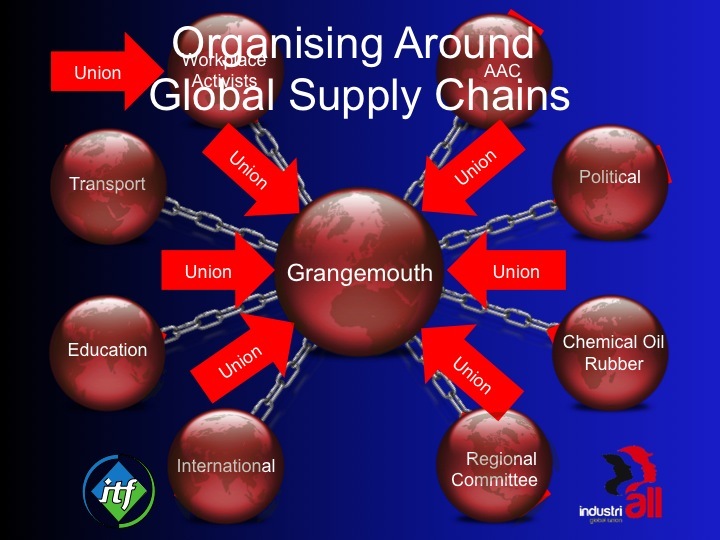 Dave Williams from Unite the Union gives his impressions of day one of industrial hubs programme training in Grangemouth, Scotland. Watch the clip…. UK ITF and IndustriALL affiliate Unite the Union is bringing together workers from across its membership in stage one of the industrial hubs programme. 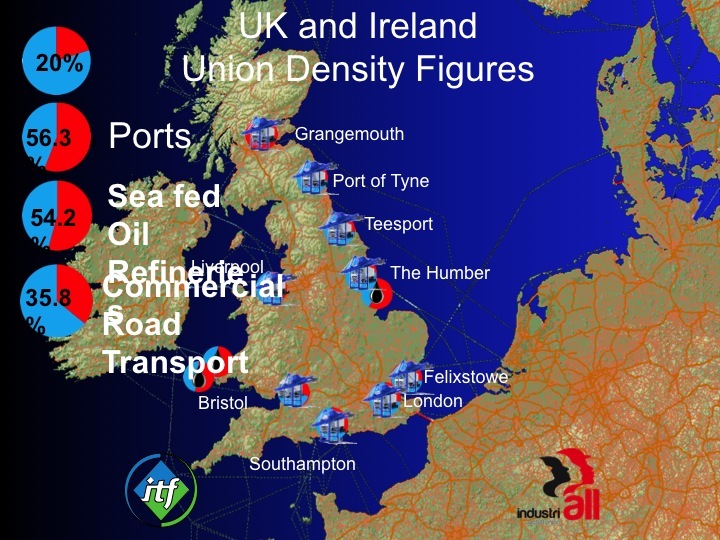 In the Humber on the North East coast of England and in Grangemouth in Scotland, action plans are being developed and sectors – including oil, manufacturing, construction and transport – are working collectively to build union combines. 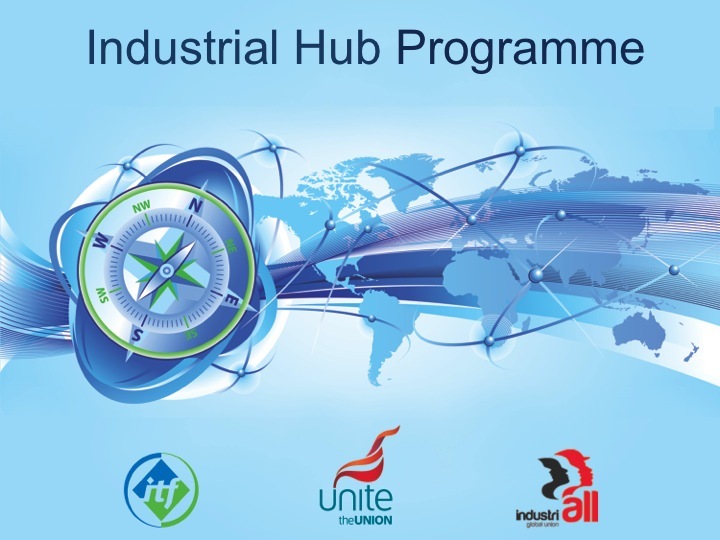 Get more on Unite’s work on the industrial hubs programme. 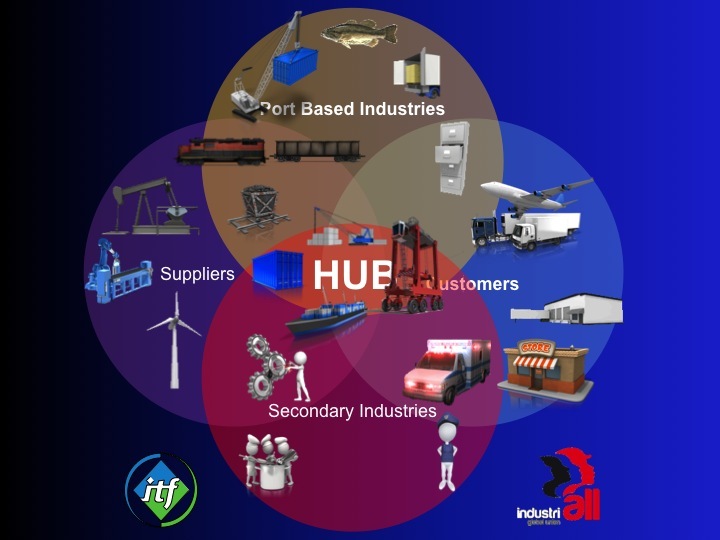 How are industrial hubs identified? 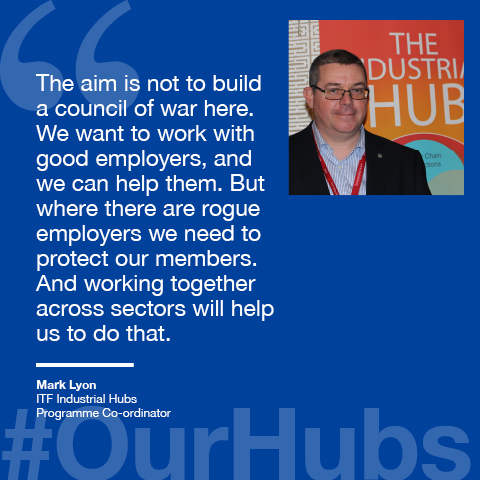 Industrial hubs are used strategically by employers to bring together related industries. 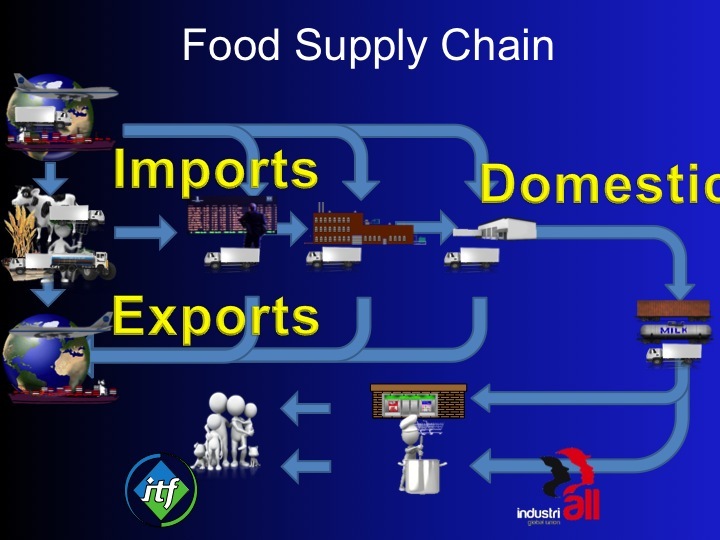 Employers want to save money and improve efficiency; having lots of strands of the supply chain converging at one geographical point helps to achieve that. 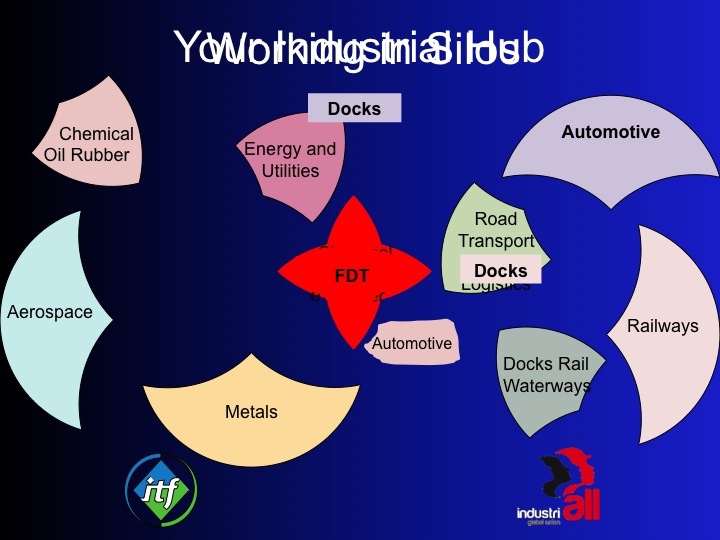 The port in Grangemouth is a perfect example. 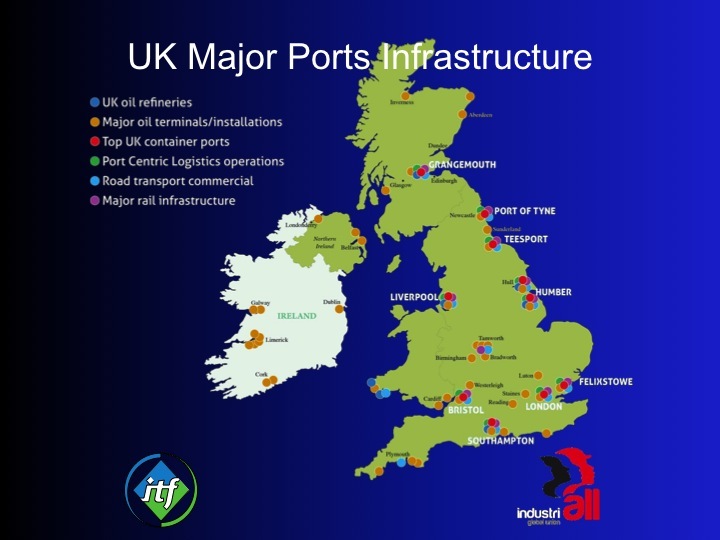 It’s a key exit and entry point for UK trade.